12:00 Second day of travelling on the railways of South London. Lunch stop. Very busy. 14:30 Lunch stop. Very busy. Sambrook's - Powerhouse Porter 4.90 Very flavoursome. A quick time filler between trains. 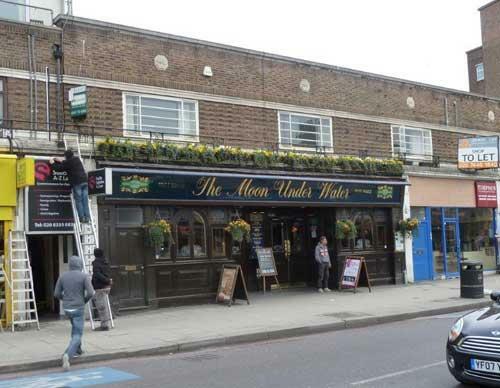 The pub is found in Balham, Greater London, SW12 9BP. Typical Wetherspoon's in High Road. In summer 2015 Wetherspoon put this pub up for sale and in 2018 closed it at the expiry of the lease that it did not wish to renew. We have visited this pub 3 times, seen 12 different beers and tried 4 of them.